Honolulu, Hawaii — Leahi Hospital recently accepted a donated art exhibit by the Liholiho Elementary School kindergarten class. The uplifting drawings are posted in the Recreation Therapy hallway and provide an opportunity for residents, participants, staff and volunteers to appreciate the warm and kind thoughts of today’s youth. 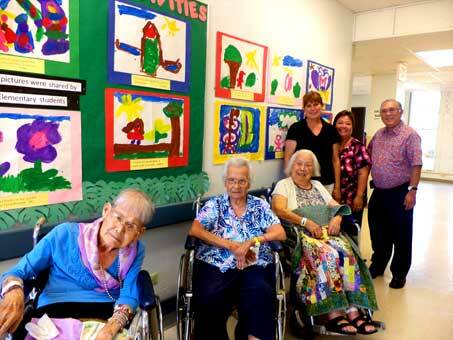 “We have seen residents smile after review of the artwork – a good indicator that they truly appreciate the caring effort of these kindergarten students,” said Karen Halemano, Leahi Hospital recreation therapist supervisor.